South Korea have confirmed non-playing staff members to help the national team at the 2018 FIFA World Cup. 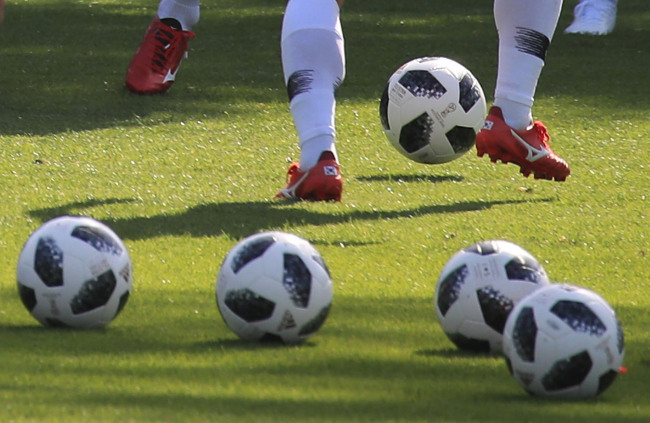 The Korea Football Association on Friday announced a 23-member support staff that will also fly to Russia to assist players and coaches during the World Cup. South Korea are in Group F at the 2018 World Cup, along with Sweden, Mexico and Germany. The KFA said the number of support staff going to Russia is the same as that at the 2014 World Cup in Brazil, matching the largest crew enjoyed by the men's team at a World Cup. South Korea's support staff will be led by KFA Vice President Choi Young-il, a former defender who captained South Korea at the 1998 World Cup. Kim Pan-gon, another vice president who serves as the KFA's head of the national team coach appointment committee, will also travel to Russia. The support staff includes a team doctor, two video analysts, two equipment managers, two translators and two chefs, who will cook Korean dishes and other foods for the national team during their stay in Russia. South Korea will also take four physical therapists who will assist with rehabilitation of players when they are injured. Among them is Hwang In-woo, who has already served the national players at three previous World Cups. They will join the Taeguk Warriors coaching staff led by head coach Shin Tae-yong. His backroom staff also includes three Spaniards -- Toni Grande, Javier Minano and Francisco Garcia Hernandez -- who all had stints with Real Madrid. The KFA, meanwhile, said it will also take its own medical equipment to Russia, including extracorporeal shock wave therapy and laser therapy machines. The ESWT equipment is known for using shockwaves to treat painful conditions of the musculoskeletal system. The total weight of the medical equipment used in Russia will be more than 900 kilograms, a KFA official said. "If we consider the players' personal belongings and other national team equipment, we'll probably have to take some 160 boxes to Russia," the official said. "We expect high shipping costs to deliver all of the equipment."